A Change of View – Changing My Life Part 26 – MY LIFE! So, it’s been a couple of months since I have written anything about this journey and there are good reasons for this. Back in late June I lost my Job. To be honest I am pretty angry about what happened and the company concerned really sold me out. The got me to basically “Fix” what they wanted then dropped me like a stone. I am positive that there were other factors involved to do with things I have written about previously. I don’t know how some people can sleep at night. What this has meant is that everything has had to go on hold for financial reasons. I simply can’t afford PT sessions and gym membership. I am really missing both! I am still trying to eat healthily but inevitably my energy levels have dropped and I just feel really, meh…. As I write this I do not have anything confirmed in terms of a new roles but I do have some feelers out there! The other thing I am doing is that I am starting my own business. Print & Marketing is something o have been involved with for many year and been pretty successful. Working for myself will enable me to do everything I have done for previous employers but for myself. 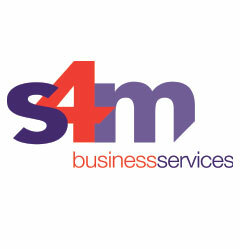 Welcome to SAM Business Services. Please have a look at my website and share with everyone you know who may be looking for any print material or marketing support! I am going to get back on with the blogs now as writing really helps me to keep focussed and keep my head together! I may not have hit y goals but I will keep going and keep trying. That is all you can do really, I am not a quitter but somethines external factors and people try and knock youy with varying degress of success This time people were a little more successful, but I will bounce back stronger!